Let's check out one of the more advanced zip line kits, The Ultimate Torpedo Zip Line Kit by ZLP. ZLP is a name that is always associated with durability and top quality zip line kits and products. They carry professional zip line riggings that are compatible with slightly more adventurous riders. Their shortest zip line cable starts at 100 feet, while their longest boasts a whopping 500 feet! That is an insanely long zip line. What is included in the kit you ask? Everything you could ever need to set up a zip line personally and professionally. It includes the ZLP Torpedo Trolley which is pretty impressive with dual ball bearings that allow the rider to reach incredible speed while still maintaining a smooth ride. 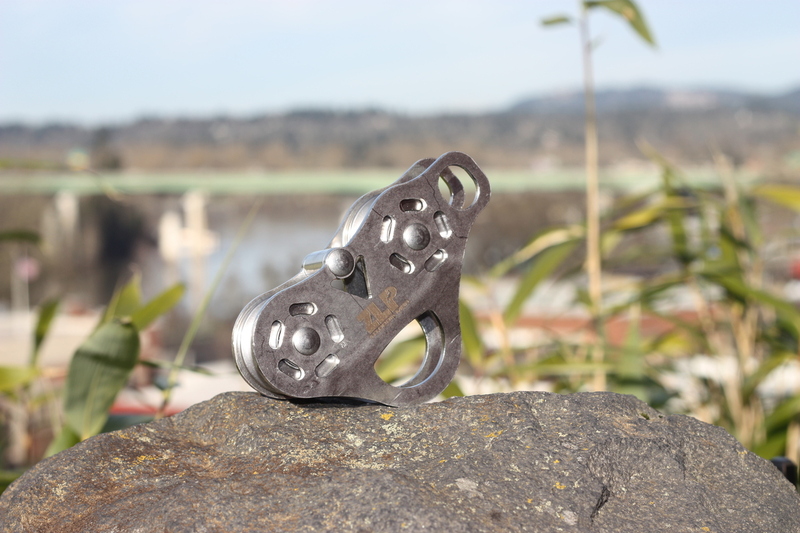 It is made of highly durable stainless steel which insures the longevity of your zip line. 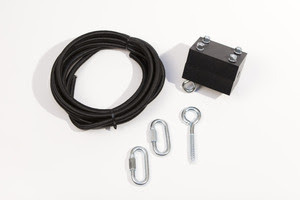 Also included is a 1/2" x 12" turnbuckle for tightening your cable line, a 6' slack cable sling which wraps around your anchors on either side of your zip line, 5/16" cable installation hardware, 5 clamps to secure your cable, the ZLP zip line handlebar, a Big Boy zip line seat which is 11" x 7" and holds riders up to 350 pounds, 4' of 3/4" nylon rope, 2 carbiners to attach the seat and handlebar to the trolley, a brake block passive braking system, 20' of 1/2" bungee to slow the rider once the brake block has been initiated, and attaching hardware. I think one of the best features of this zip line is that it comes in such a variation of sizes. One of the biggest issues that people who are installing a zip line come across is not having the right distance between trees or other anchor points. The odds of having two hardy trees that are approximately 200 feet apart that has a clear riding path are slim. This kit solves that problem. It's cable sizes increase by increments of 50 feet which allow the consumer to buy a cable (with kit) that can properly accommodate their property. 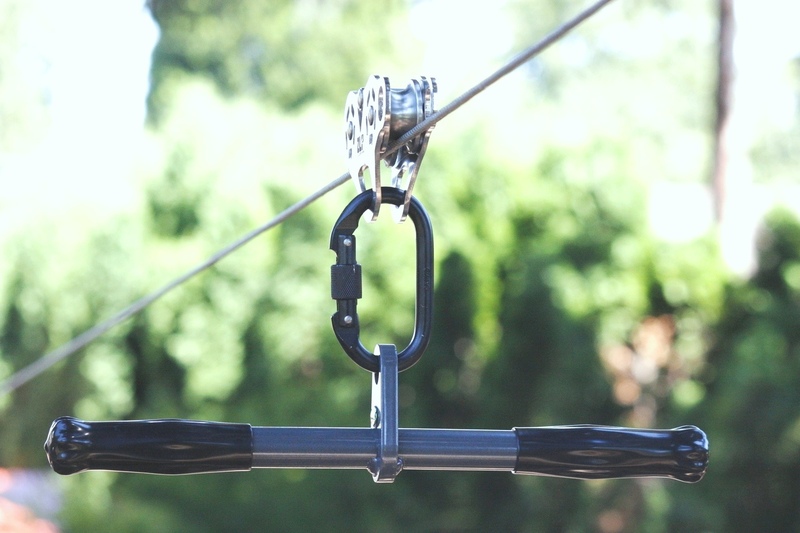 The cable of the Ultimate Torpedo Zip Line is also galvanized which allows for increased strength and durability to last through extreme weather. The trolley system on the Torpedo Zip Line kit is also a star feature. It is manufactured in the United States out of stainless steel and can support cable line up to 1/2 inch. In fact, the trolley is so heavy duty that it can withstand weight up to 350 pounds, that is one strong trolley. Compared to the Alien Flier series (I will compare the two in a future blog) which can only withstand weights up to 275 pounds, you can see how strong this trolley truly is. The addition of the handle bar and large Big Boy seat on this kit is also a plus. The handle bar allows the rider to place both hands on the handle bar and stabilize themselves so that they don't spin and ride backwards down the ride. Handle bars are also a great feature because it provides peace of mind to the rider, they feel more confident when riding because they have control over how their body is oriented. Sometimes when a rider is a harness only it can create anxiety because they are entrusting their safety in how well made their harness is. 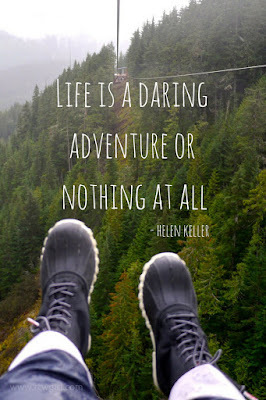 That can be scary for children and riders new to the world of zip lining. The handle bars also allow the rider to orient their body to slow down or speed up similar to playground swing. Riders will learn that when they move their bodies in certain positions they gain complete control over their ride, which boosts their confidence and enjoyment on their zip line. The Brake Block kit is also a very necessary addition to this kit, compared to the basic Torpedo Zip Line Kit. When riding or installing any zip line it is necessary to have the proper braking systems, especially when riding such lengths as 500 feet! Every zip line should have a primary and secondary braking system. 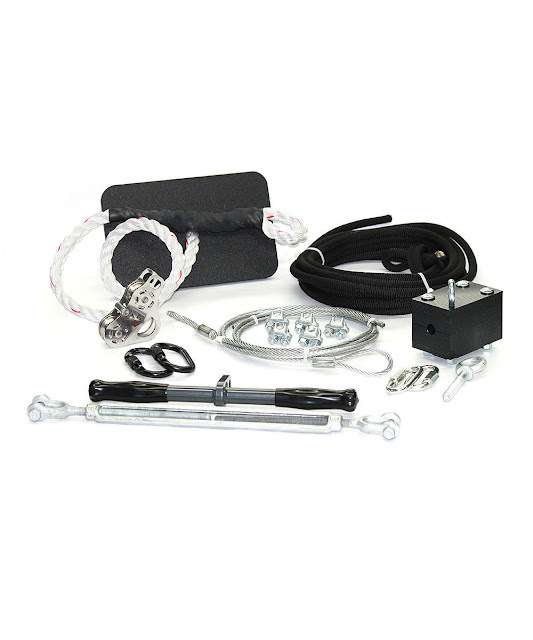 The braking system that comes with this zip line kit is primary. This braking system ensures a safe and smooth finish once you reach the end of your ride. The brake block attaches to the end of your zip line along wit the bungee cord which is anchored nearby. Once the rider's trolley makes contact with the brake block the bungee cord stretches and slows the rider enough that they can slowly drift back and dismount the ride. You can check out more on zip line braking systems here. If you'd be interested in buying this zip line kit click here or go to www.ziplinestop.com!